This hotel was all sparkles for a very reasonable price! It was very relaxing being able to go to the onsen area after a long day or right before the start of a day. 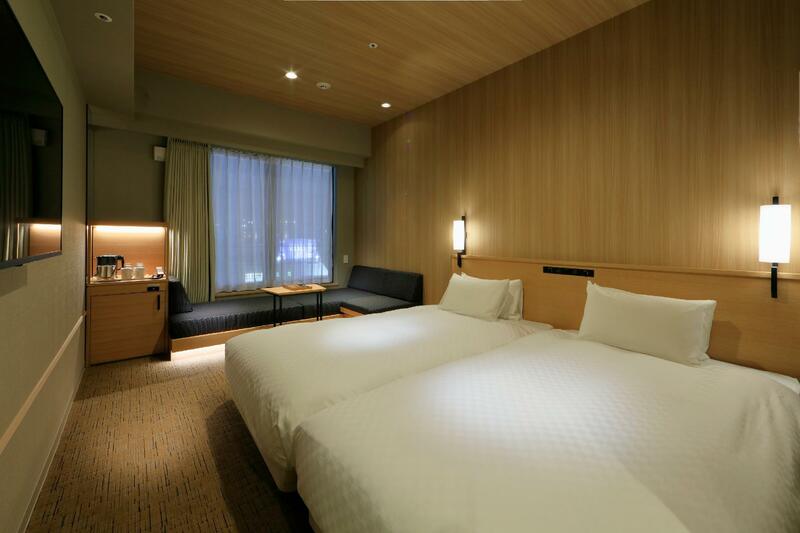 The bed was comfortable and the space was used wisely and overall, the space would be considered big for Japan. Staff were courteous and professional. I loved the location of this hotel in the Kobe area. Close enough to Sannomiya and a literal stone throw from the metro station. The big windows in the room provides a wonderful viewing of the area. The only “down side” is that the trains do start early in the morning so it could wake you. 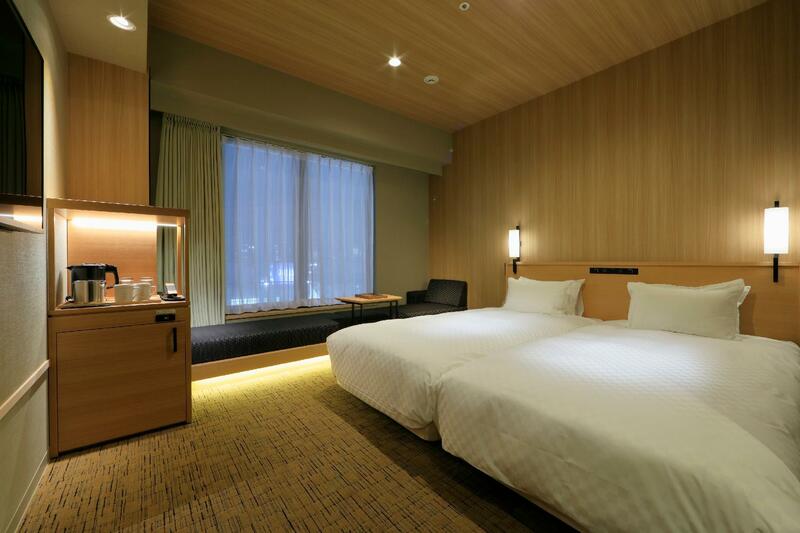 If you’re looking for a base to explore kobe, this hotel is ideal. The rooms are slightly small but we dont care as we’re out the whole day and most of the nites.. the important elements are there, large comfy bed, shower heater and water pressure is good and most importantly cleanliness is excllent. We booked the deluxe twin room for our family of three. It is supposingly the bigger rooms in the hotel. Not only is the bedroom small, the bathroom is small too. Fortunately we bathed at the sky spa. Else it is really claustrophobic. 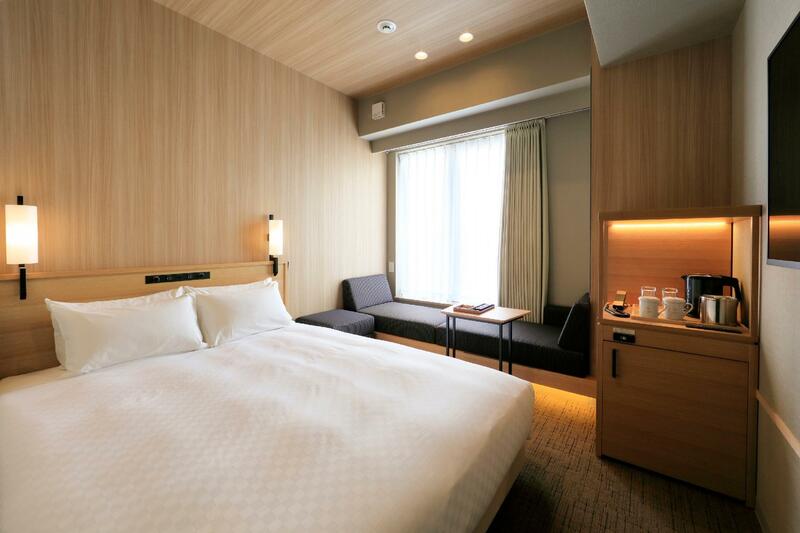 Brand new hotel in Kobe. Rooms were spacious, breakfast buffet was varied daily & delicious! Location was excellent & close to shopping areas. Transportation was right across the street from the hotel. Soaking in their onsen after a day of shopping was great too! This is my second time to stay in this hotel. Hotel location is good! It is so convenient to restaurants or go to shopping. The maintenance is very good and the hotel provide a bottle of water per person per day. 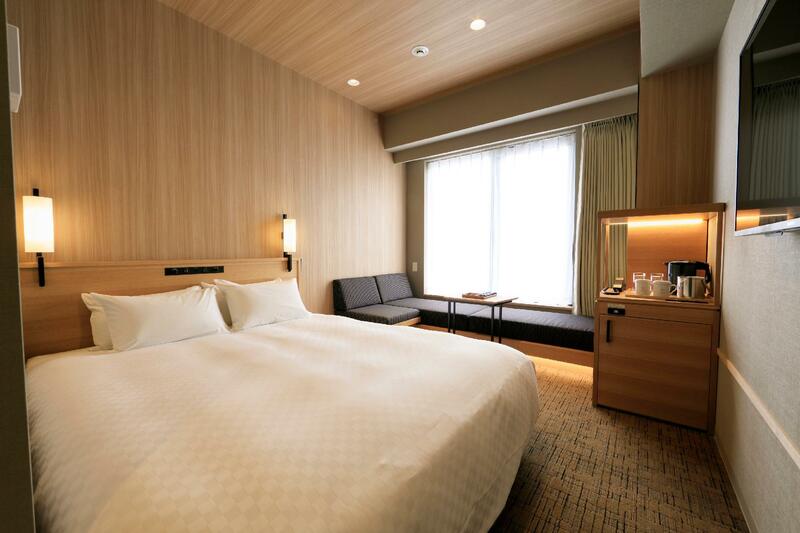 I will stay in this hotel if i travel to Kobe in next time. Many thanks to Ms Emi at the Front Desk. She is sincere and friendly. Shin went the extra mile to help us make a reservation at Ishida Restaurant. To get to the Hotel, we used the Exit B2 on the Kaigan Line. Just turn left after exiting. On the right is Uniqlo. Chinatown, Merikan Park, Kobe Tower, Tokyu Hands, MacDonald (open 24-hour), etc are just within walking distance. There is also a loop bus service (fare from JPY 260 onwards) just outside Daimaru Store. We didn't take the bus as we enjoyed the walk. Lots of eateries and shopping. We had dinner at Ishida Steak restaurant. Reservation is required. It was fully booked on our first night and we had to reserve our seats for the next evening. There are a few branches, we almost went to the wrong branch. We love the hotel's public bath and coin laundry service on the 14th floor. 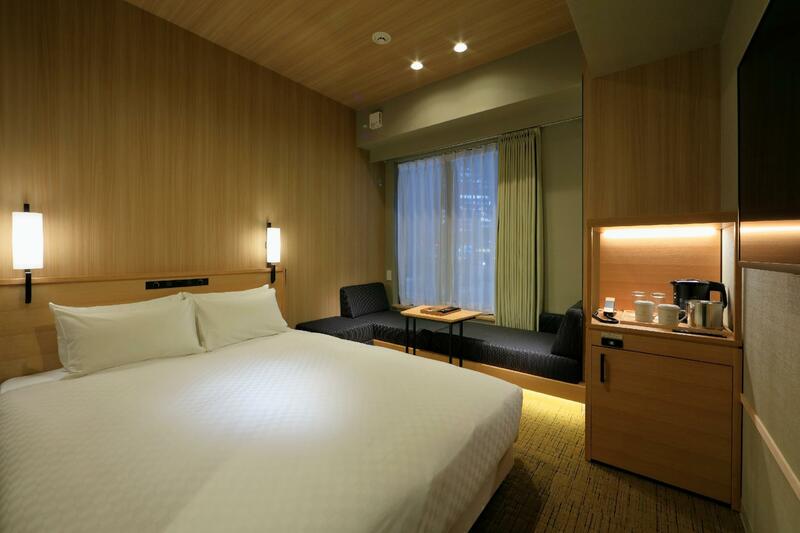 We will definitely be back to stay at Candeo again when we visit Kobe. 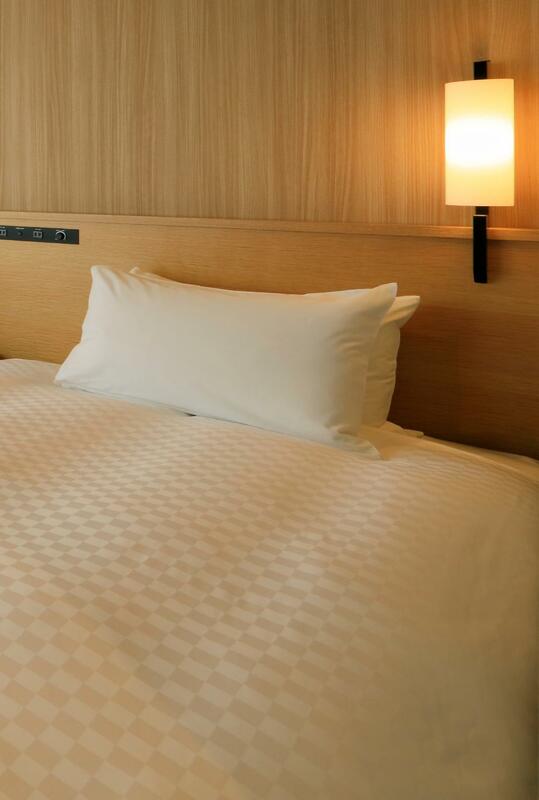 The hotel was well appointed in terms of facilities-very clean rooms with a nice view, comfy bed & beddings. The location's perfect! It's 10min walking distance from Meriken Park & Kobe Tower. It is also near rows of restos & convenience stores from both sides of the hotel. It is right in the middle of Sannomiya and Motomachi station so travelling (esp to Rokko Mountain, outlets, etc) is easy. The Kobe Catholic Church is also a 10 minute walk away. My family and I stayed here for a few nights and would definitely recommend it. It's easy walking from either Sannomiya Station (500m) or Motomachi Station (100m), which puts it in an excellent location for moving around. Additionally, it's walking distance to several shopping arcades and there's excellent food all around. 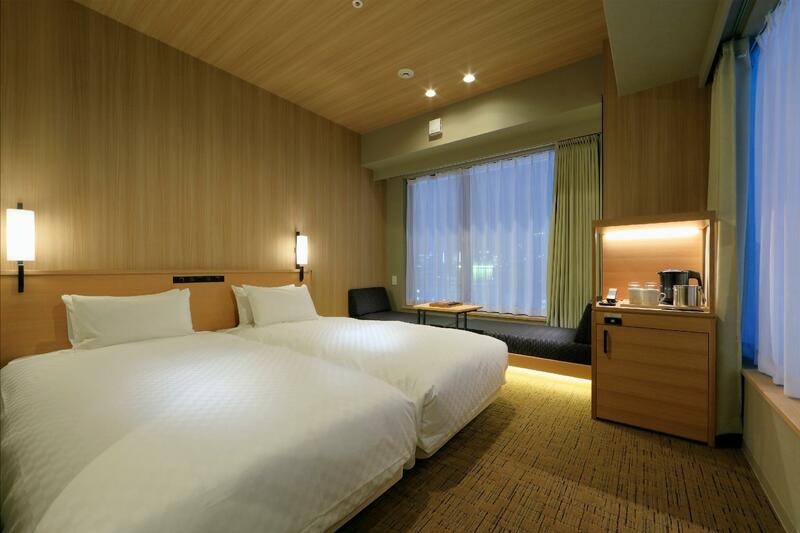 The rooms are great - spacious (by Japanese standards), with comfortable beds and a bathroom that you can maneuver in. The hotel facilities are also great - my brother and I enjoyed that we could log onto Netflix in our room and my parents loved the access to the Sky Spa (onsen) up on the roof. Last but not least, the staff of the hotel are really helpful and friendly. Excellent facilities in great location, easy walking distance to shopping, restaurants, bakeries, Chinatown, Kobe Port Tower and Meriken Park. Rooms are clean and modern, designed to make optimum use of space. Large rooftop bath is a definite plus. Highly recommended! 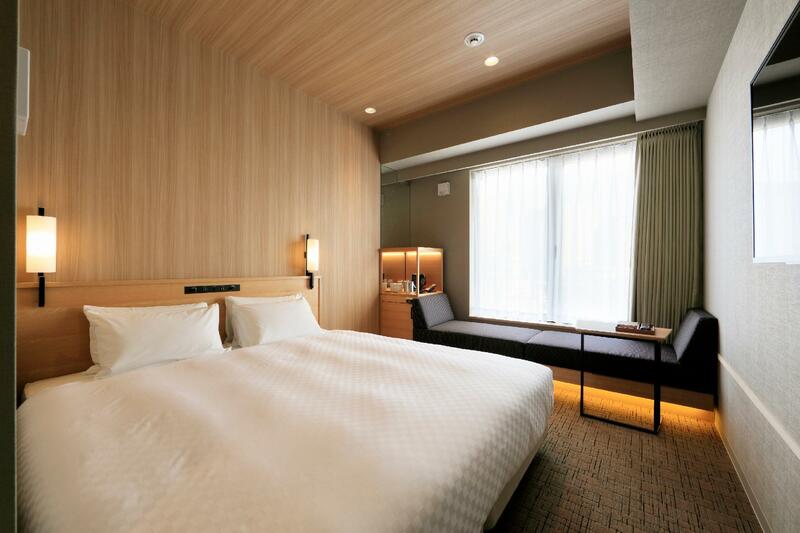 + Great clean room + very helpfull and kind staff + nice breakfast in restaurant with breathtaking view +/- rooms are small for Western standard but for Japanese standards quite OK + nice small Spa + Location in centre and close to summiyani station. Though the hotel is quite new, the rooms feel rather squashy. Hotel Staff is generally friendly but not too proactive. E.g. when we arrived on the 13th floor lobby we unpacked our bag to locate our passports for check in, the Staff at the counter didn't welcome us until we approached the counter. Though this is not a big issue, we received warm welcome at other hotels upon arrival, this does make a good impression. Nice breakfast and restaurant staffs, It's good to see korean speaking staff at front desk. Occasionally, i had some inconveniences with staff who doesn't communicate with english during Kansai airport shutdown. สถานีรถไฟใต้ดิน Kyukyoryuchi Daimarumae - ระยะ 0.17 กม.